The Permit and Licensing Detail is managed by the Support Services Division, and its day-to-day operation is handled by Records Technicians and Part-time Police Assistants. Our employees are responsible for providing assistance to the public in completing permit application forms, fingerprinting applicants for criminal history, and special work permit. Permit applications are required for massage technicians, massage operators/managers, card club employees, taxicab operators, taxicab drivers and adult performers. A parking permit is required in several areas of the City during specific days and times to limit vehicular congestion occasioned by persons attending events at facilities located in close proximity to these areas. Click here for the parking permit districts and effective hours of operation. If you recently moved to a neighborhood that requires a parking permit, you can visit the Gardena Police Department located at 1718 W. 162nd Street, Gardena. For additional information contact (310) 217-6155. Per Chapter, 10.60 of the City of Gardena Municipal Code, residents who own a recreational vehicle must register their recreational vehicle with the Gardena Police Department. Visitors with a recreational vehicle must register if they plan on parking on any Gardena street between the hours of 10:00 PM and 6:00 AM. Click here for the application form or you can visit the Gardena Police Department located at 1718 W. 162nd Street, Gardena. For additional information contact (310) 217-6155. As required by the Gardena Municipal Code, the Police Department has the responsibility of conducting background investigations on individuals and businesses seeking city permits to work in certain establishments, for example: card blubs, massage parlors, adult entertainment, and as a taxi cab driver. The following are minimum requirements for the various Special Work Permits. Have a valid California I.D. Proof of residency and/or employment authorization card. Click here for the Card Club Employees permit application packet. The residence address, business address, and residence and business telephone numbers of the applicant and the name under which the business will be conducted. The applicant’s height, weight, color of eyes and hair, date of birth and place of birth. Fingerprints and thumbprints of the applicant to be taken by the Gardena Police Department. A non-refundable application fee must be paid at the time of the application. A current list of all proposed massage technicians, aides, trainees and other employees who are or will provide services in the massage establishments. The name, residence and business addresses and phone numbers of the owner of the premises, if other than the applicant, in which the massage establishment is to be located. If applicant is not the legal owner of the property, the app0lication must be accompanied by a copy of the lease and a notarized acknowledgement from the owner of the property that a massage establishment will be located on his or her property. The applicant’s height, weight, color or eyes and hair, date of birth and place of birth. The history of the applicant as to any similar business or occupation within 10 years preceding the filing of the application. An original or certified copy of a diploma or certificate and certified transcript of graduation from a recognized school of massage. Proof that applicant has passed the National Certification Examination for Therapeutic Massage and Bodywork and a valid current certification by the National Certification Board for Therapeutic Massage and Bodywork. Click here for the Massage Technicians permit application packet. Minimum Requirements:Applicant must be 18 years old or older. Applicant’s legal name and any other names, including stage names and aliases, used by the applicant. The birth date and birth place of applicant. Height, weight, hair and eye color. Fingerprints and thumbprints of the applicant to be taken by the Gardena Police Department. Click here for the Adult Entertainer permit application packet. A written statement of the applicant’s experience as a taxicab driver. Have a valid California driver’s license and a copy of driving record as compiled by the California Department of Motor Vehicles (DMV form INF 1125). Click here for the Taxicab Driver application packet. Applicant must be employed bya a licensed franchise. Within 30 days of employment must provide copy of a certificate form from “AAA” for Tow Truck Driver Instruction and Training. Click here for the Tow Truck Driver permit application. Those interested in working in the city for the above positions need to contact the Police Department to schedule an appointment for processing. At the times of these appointments, individuals should bring required materials along with a completed application to the Police Department. Appointments are scheduled on Tuesdays, Wednesdays, or Thursdays, between 3:30 and 5:30 p.m. Please call Police Records Bureau at (310) 217-9600 to schedule an appointment. A fee of $161 is required to cover the costs of fingerprinting, picture and background check. A temporary permit will be given 3 to 5 working days (not including Saturday and Sunday) after filing an application with the Police Department. The temporary permit is only valid for three months. During this time, a background investigation will be completed on each applicant. A permanent permit will be issued if the background investigation does not reveal disqualifying information. The permanent permit will need to be renewed in three years. For more detailed information on work permits call (310) 217-9672 or (310) 217-9600. If you are employed by a card club, taxicab company, massage establishment or adult entertainment establishment in the city of Gardena and your work permit identification card was either lost or stolen, you must complete a Supplemental Work Permit Application form and submit it to the Gardena Police Department in order to obtain a replacement. Click here for the Supplemental Work Permit Application form. In accordance with Gardena Municipal Code Section 5.68, no person shall egage in the business of operating any taxicab in the City without first having obtained a permit approved by City Council. A non-refundable fee of $161.00 must accompany the application to defray the cost of precessing and shall be retained by the City whether the permit is granted or denied. Upon completion of an investigation and any subsequent hearings, the City Council shall determine whether or not to grant the required permit and specify the number of taxicabs the applicant is allowed to operate in the city. If granted, a Business License will also be required. The Business License fee is based upon the number of taxicabs that City Council approved for operation. The Permit is valid for a period of one year from the date of issuance and the Business License expires on December 31st of each year. The Taxicab Operator Permit application is provided below and is also available for pick up at the Gardena Police Department located at 1718 W. 162nd Street, Gardena, CA 90247. For additional information contact (310) 217-9672. Any residence or business with an alarm system must have a permit on file with the City. Alarm permits are issued on an annual basis for $40. Annual renewals are due by February 28th each year. A late fee of $33 will be imposed for any permit not obtained within 60 days of installation. To apply and pay online, go to https://gardenaca.citysupport.org. 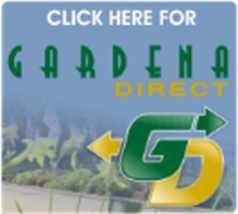 For questions on registering your alarm system online, please call (424) 254-7520 or email gardenaca@citysupport.org. If you have any questions regarding an Alarm System Permit contact (310) 217-9525 or visit the Community Development Department located in City Hall at 1700 W. 162nd Street, Room 101. If an alarm falsely activates four or more times in a calendar year, the owner/manager of the residence or business will receive a citation and be required to pay a fee that escalates in proportion to the number of false alarms the City has on record for that location. At the end of each calendar year the previous years’ false alarm history is discarded and the new year will start with a clean alarm history.